Business and Money Tips: It's The Profit, Stupid! From now onwards, we don't do training any more. 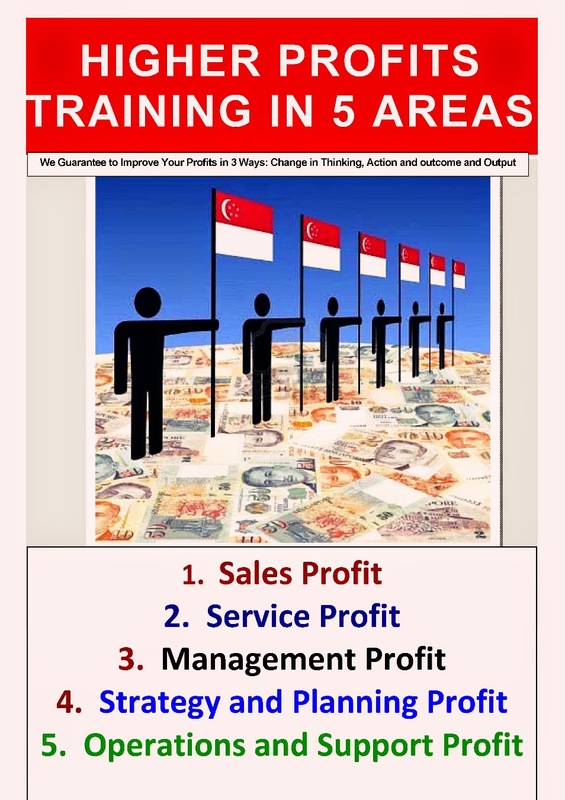 We do only training that leads to higher profits. Because it is profits that people want, not training. Profits to a business is obvious: higher sales, lower costs, higher gross profit, higher net profits, improvements in cash flow, reduction of risks and higher other income. To a non-profit organization like the Government or Voluntary and Welfare Organizations, Profit means the above too, plus higher reserves for future use. To an individual, profit means higher increment, bonuses, incentives, rewards, promotion, better welfare, and moving up the corporate ladder. Operations and Support Profit: how the operations, support, human resource, quality control and administration can contribute to higher profits for the organization.